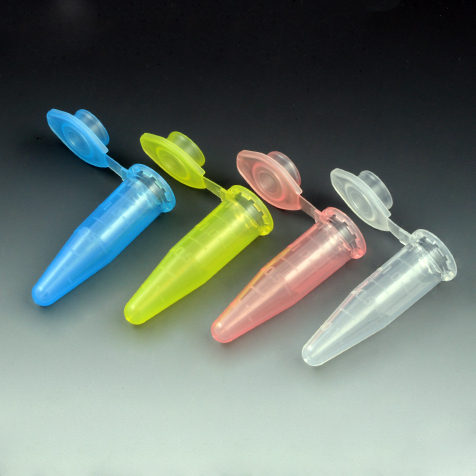 These 1.5mL polyropylene microcentrifuge tubes feature attached leak-resistant flat snap caps. Each tube is molded with precise graduation marks for accurate measurements. They are available in amber and assorted colors.